The 2019 Forester launches this model’s fifth generation. When you offer a very successful product, how do you make improvements as you ready the next-generation model? Very carefully, that’s how. Tasked with developing the fifth-generation Forester, Subaru turned to its new global architecture to support the vehicle, the same platform underpinning all modern Subaru models. 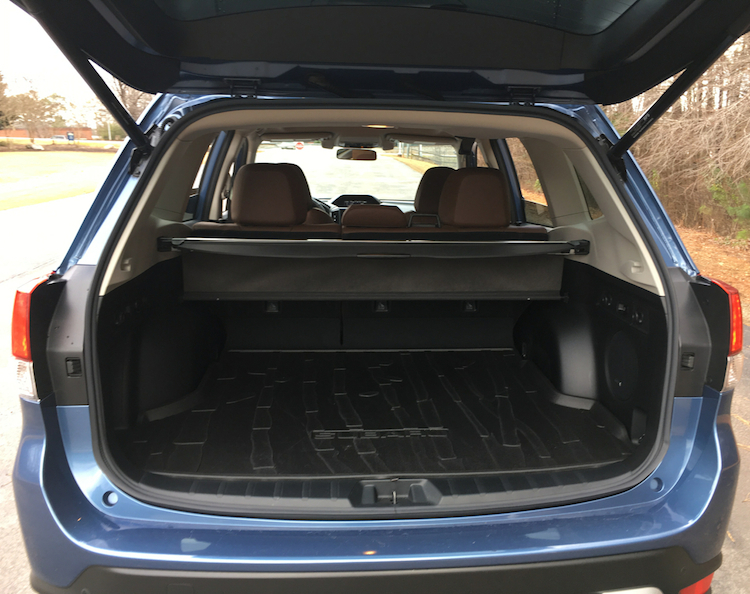 As a result, the 2019 Subaru Forester is slightly larger than before, therefore positioning this vehicle to stay relevant in a segment led by the Toyota RAV4, Nissan Rogue, and Honda CR-V. Among its competitors, the Forester continues as the only model with standard all-wheel drive. The changes for 2019 go beyond architecture and size to include an updated 2.5-liter inline four-cylinder engine (the previously available 2.0-liter engine is gone), a new Sport model, standard driver-assist technologies, and a panoramic power moonroof on all but the base trim. For 2019, Subaru offers the Forester in Forester ($24,295), Premium ($26,695), Sport ($28,795), Limited ($30,795), and Touring ($34,295) trims. Add a $975 destination charge in most states, with slightly different costs in 10 others. We’ll break down each trim before tackling our driving impressions. If you’re looking for a revolutionary change with the all-new Forester, you’ll be disappointed. Then again, an evolutionary change works best with this popular model. For a base model, the entry-level Forester delivers the goods. You get the same engine and all-wheel-drive system as the rest of the lineup. And that’s a good place to begin. This model has LED headlights, 17-inch wheels set within all-season tires, and black folding side mirrors. Inside, you’ll find full power accessories, a tilt-and-telescopic steering column, automatic climate control, cloth seats, and a cargo-area underfloor storage compartment. The Forester’s standard audio package includes four speakers. You’ll also find a 6.5-inch multimedia display. One of the biggest features this year is standard EyeSight Driver Assist Technology. This package monitors traffic movement, adjusts cruise control, and supplies lane keep assist and sway warning. It takes some getting used to as the warnings make their presence known. Few competitors match Subaru with comparable technologies or if they do, you’ll pay extra for them. The only available package with this trim is an Alloy Wheel Package ($600, with 17-inch aluminum-alloy wheels and raised roof rails). Remember, this is the budget model — you’ll probably want to begin your search with the next trim. The Premium trim brings in features from the Alloy Wheel Package and adds body-colored side mirrors, a roof spoiler, and a panoramic power moonroof. Inside, you’ll find a 10-way power driver’s seat, an overhead console with dual LED map lights and sunglasses storage, a removable cargo area tray, and a six-speaker audio system. This model also gains a pair of front compartment USB ports. At this trim you’ll find three package offerings. The first one is an All-Weather Package ($500, windshield wiper de-icer, heated side mirrors, and heated front seats). The second choice builds on the first one by adding keyless entry with push-button start, and blind-spot detection with rear cross-traffic alert ($1,295). Building on the first two is a package that brings in a power rear liftgate ($1,845). Opt for the third package and your price stays just below $30,000. Sport is the newest trim and resides in the middle of this model’s five-trim lineup. Among its top features are its 18-inch wheels with orange accents and a sport drive mode. It also has LED fog lights and heated side mirrors with turn signal indicators. 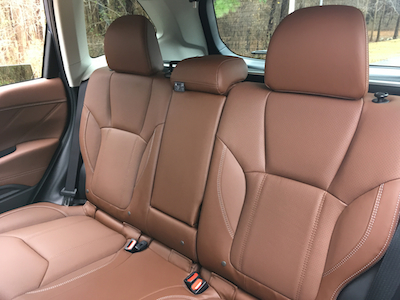 Inside, the Sport comes with sport cloth seating with orange stitching, heated front seats, and dual second-row USB ports. This trim also has keyless entry and push-button start. You’ll find a pair of package offerings. The first one bundles blind-spot detection, rear cross-traffic alert, and reverse automatic braking with an 8-inch touchscreen ($795). The second one builds on the first, adding a power liftgate and a 9-speaker Harman Kardon audio system ($2,045). Key features of the Limited edition include LED steering responsive headlights and 18-inch five-spoke aluminum-alloy wheels. This trim also includes a power liftgate, leather-covered seats, and dual-zone climate control. You’ll find one package option only, which bundles such features as reverse automatic braking, a heated steering wheel, and navigation with the Harman Kardon audio system ($1,695). As you might expect, the top-trim Touring edition found its way to my home. The usual practice of manufacturers is to deliver a top-trim model for media inspection, thus Subaru was on target. This one, of course, pulls out all the stops, at least when it comes to the Forester. 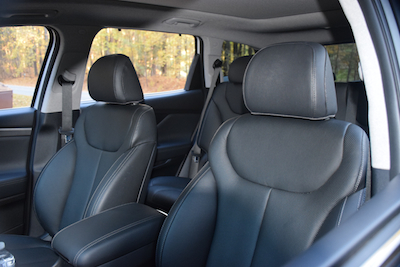 It might seem odd that a Forester costs as much as $35,000, but you get such advanced features as an 8-way power front passenger seat, heated outboard second-row seats, a power-controlled rear seat, and the Harman Kardon audio system. Subaru also includes a reverse automatic braking system and a DriverFocus distraction mitigation system. The system works with EyeSight, delivering alerts if it senses you aren’t staying focused yourself. This means you may receive a display warning accompanied by a chime, telling you to keep your eyes on the road. The system alerted me one time, underscoring how easy it is to become distracted while driving. What Subaru doesn’t include here is a package, because, at $35,270, the Touring edition comes with many standard features. It also makes a compelling reason to move beyond the Premium model with its own package offering. For just $1,800 more, the upgrades seem worthwhile. The previous-generation Forester offered two engine choices and these were four-cylinder motors displacing 2.0- and 2.5-liters, respectively. 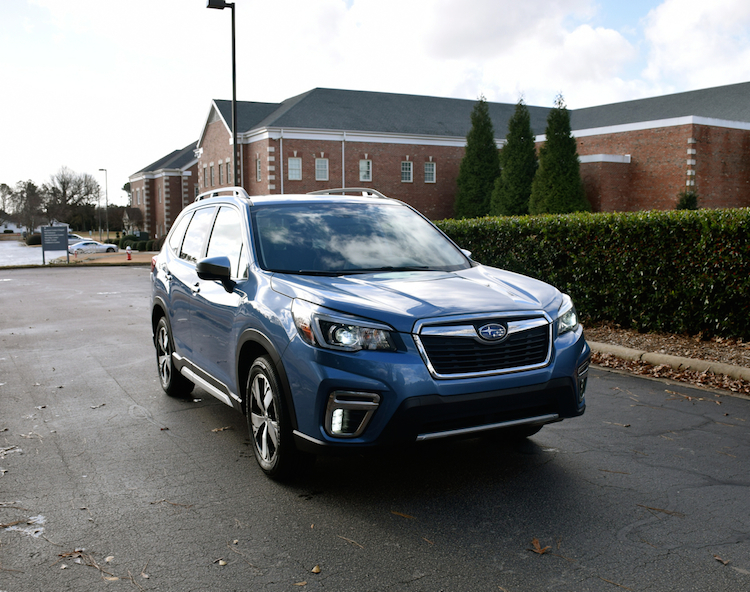 For the latest model, Subaru discontinued the base engine and updated the larger one, which powers every 2019 Forester. This one gains a slight boost in performance — 182 horsepower and 176 pound-feet of torque, up from the previous 174 hp. The current engine has a slightly higher compression ratio and delivers improved acceleration. As before, Subaru’s flat-four works with a continuously variable transmission. The lone engine choice matches what Subaru’s top competitors offer, which are engines that also displace 2.5 liters. But those models come with standard front-wheel drive and available all-wheel drive, while Subaru supplies all-wheel drive only. The Ford Escape is one model with multiple engine choices, in this case, three, but none matches the Forester’s efficiency. One of the Forester’s strong suits is its acceleration, especially when traversing local roads. The Forester’s engine provides an immediate and even boost in power, although it does come at the cost of some droning. The CVT manages to keep the engine revs in line, however, which also aids in efficiency. The ride is comfortable and steering is nicely weighted with responsive handling. Indeed, Subaru supplies this model with torque-vectoring control, which delivers automatic braking to the inside wheels when cornering. You have to pay extra with competing models to get a similar reaction and even then the Subaru system seems more sophisticated. That extra bit of sophistication comes by means of “X mode,” which manages throttle application, steering wheel angle, and yaw rate. Off-roading is certainly do-able with the 2019 Forester. Its tall ground clearance, big tires, and an all-wheel-drive system just begs for off-road fun. When X-mode is activated, a hill descent feature kicks in. Further, the Forester’s traction management system mimics a locking differential arrangement along the lines of the Cherokee Trailhawk. This is why you see Subarus doing things off road that unibody models typically avoid and live to tell about it. You may not be able to match the Trailhawk in climbing the toughest rock outpost, but your Subie should fly through the mud and navigate sand where others fear to tread. Rest assured, Subaru didn’t mess with success as they moved forward with an all-new Forester. And why should they? After all, the Forester is its best-selling model and any major design overhaul might adversely affect sales. The new Forester simply strengthens the brand’s utility vehicle lineup, which is now composed of Crosstrek (subcompact), Forester (compact), Outback (two-row midsize), and Ascent (three-row midsize) models. Customers are drawn to Subaru for several reasons, including its standard horizontally opposed (flat) engines, all-wheel drive, and advanced safety technologies. 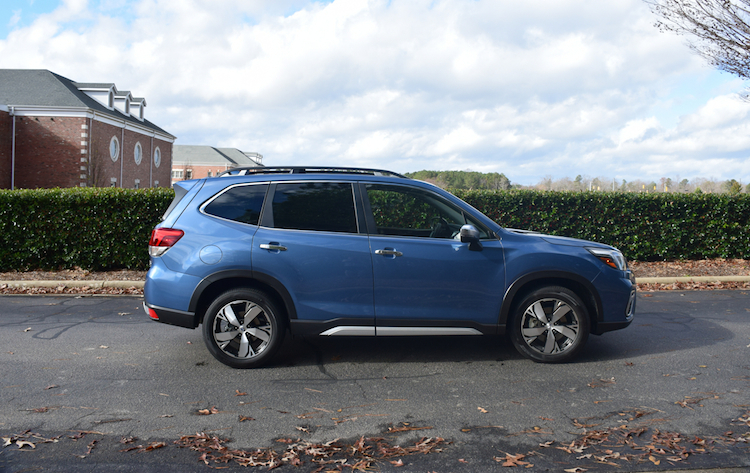 Some consumers may not consider Subaru a value brand (as in cost), but the automaker’s roster of standard equipment demonstrates otherwise. 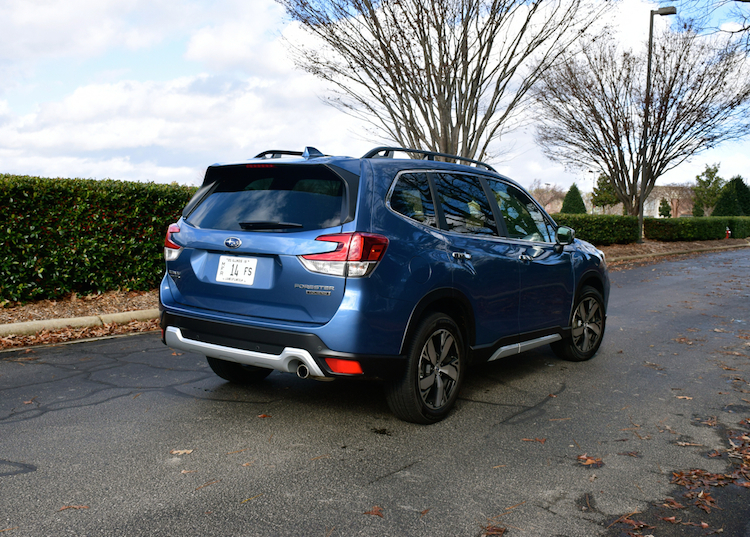 Finally, if you place a value on off-road capabilities, few competing models deliver the chops on the level of the 2019 Subaru Forester. Hyundai’s midsize SUV is all-new for 2019. The all-new 2019 Hyundai Santa Fe makes its debut. 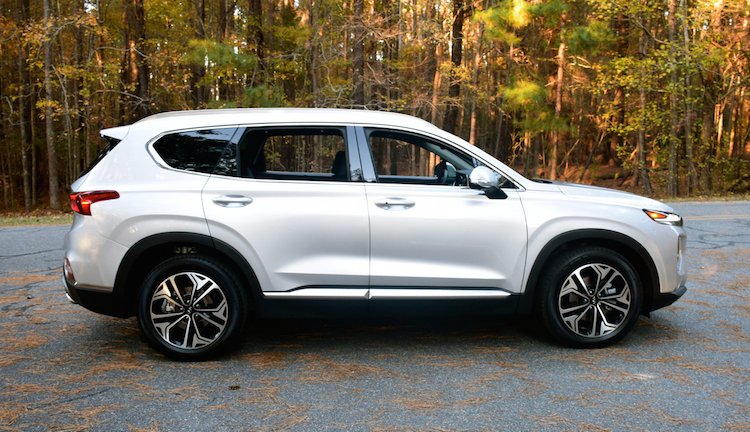 The 2019 Hyundai Santa Fe is all-new and now represents a two-row midsize crossover utility vehicle with room for five. Whatever happened to the three-row version? It is still around, but Hyundai renamed it the Santa Fe XL for 2019. The 2018 Hyundai Santa Fe Sport (5 passengers) was replaced by the all-new 2019 Hyundai Santa Fe (5 passengers). The 2018 Hyundai Santa Fe (7 passengers) was renamed the Hyundai Santa Fe XL (7 passengers) for 2019. Importantly, it is based on the previous-generation model. Beginning in 2020, the all-new Hyundai Palisade (7/8 passengers) will replace the Santa Fe XL. Thus, starting in 2020, Hyundai’s four-strong utility vehicle lineup will comprise the Kona (subcompact), Tucson (compact), Santa Fe (midsize, two rows), and the Palisade (midsize, three rows) models. In effect, Hyundai serves every important crossover segment with this four-model SUV line. The Santa Fe’s competitive set includes the Ford Edge, Nissan Murano, and the Chevrolet Blazer. 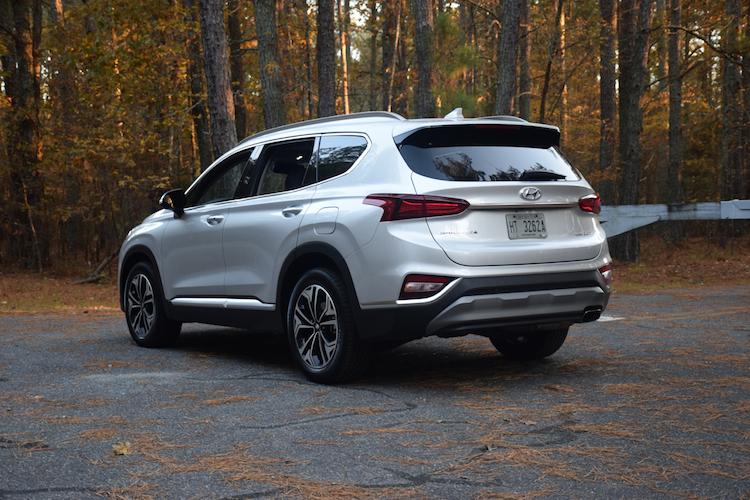 Our review focuses exclusively on the 2019 Hyundai Santa Fe, a model that launches this nameplate’s fourth generation. Hyundai offers this model in seven trims: SE 2.4 ($25,500), SEL 2.4 ($27,600), SEL Plus 2.4 ($29,800), Limited 2.4 ($32,600), Ultimate 2.4 ($35,450), Limited 2.0T ($34,200), and Ultimate 2.0T ($37,100). Add $980 for the required destination fee and $1,700 for optional all-wheel drive. This may seem like a lot of trims for a model, but in reality, there are five as each Ultimate and Limited version is differentiated by engine choice alone. Furthermore, there are no packages available as each trim includes various equipment upgrades. The all-new Santa Fe is slightly larger and weighs somewhat less than the previous model. You aren’t likely to detect the size differences as passenger volume is roughly equal to the earlier model. Cargo space is also about the same. As for the Santa Fe’s design, it reflects a new look that launched with the Kona in 2018. There are some differences, but both models have narrow “slit-eye” LED lights and a trapezoidal grille. The Santa Fe also incorporates stacked headlamps and has a sizable lower air intake. The Santa Fe’s profile now has a more formal look. Where the previous model’s beltline rises dramatically at the rear door handles, the new model rises only slightly before meeting the roof line. The same can be said for the upper character line, which now runs the entire length of the SUV from the front of the hood to the taillights. From the rear, the Santa Fe benefits from new LED lights, which are in my opinion more elegant than the previous ones. Standard equipment includes projector headlights, high beam assist, LED daytime running lights, power-heated and -folding side mirrors, and 17-inch alloy wheels. Upgrades include LED headlights and taillights, fog lights, a panoramic sunroof, and 18- or 19-inch alloy wheels. 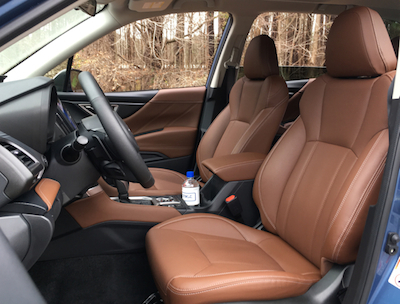 Inside, the 2019 Santa Fe has a “class above” look with its handsome materials and excellent fit and finish. The sculpted dashboard looks expensive, a design that’s evenly split between driver and passenger. The color display sits on top of the dashboard above the center stack, ensuring a clean and uncluttered look. There is ample room for five inside, with rear-seated passengers finding plenty of legroom, thanks to about two extra inches between the wheels. Of course, the best seats in this SUV are up front with both offering generous back, hip and thigh support. All models come with a tilt-and-telescopic steering column, full power accessories, and air conditioning. Dual-zone climate control rolls out at the SEL Plus level. 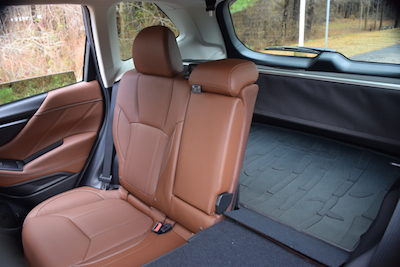 Cloth seats are standard and heated front seats are included except with the base trim. Power front seats are included beginning with the SEL trim. Ventilated front seats and heated outboard rear seats are offered with the Ultimate model only. 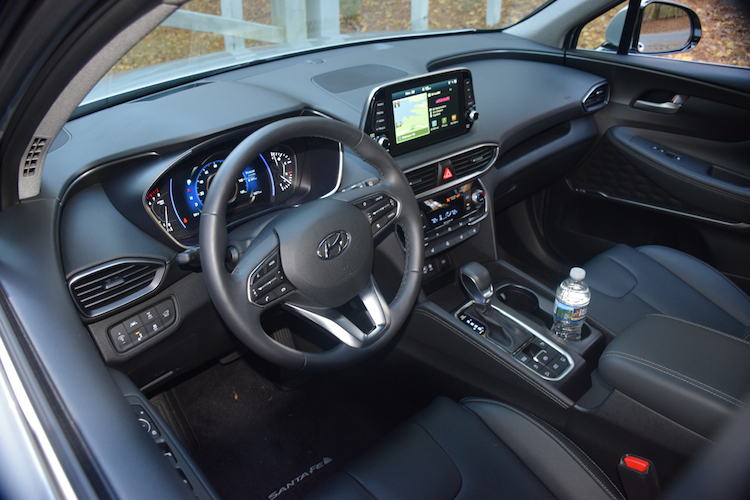 Manufacturers are adding more driver-assist safety features to their products and Hyundai is at the forefront of what you’ll find in standard equipment. Every 2019 Santa Fe comes with adaptive cruise control, blind spot collision avoidance assist, rear cross-traffic alert, lane keeping assist, safe exit assist, and driver attention warning. Starting with the SEL Plus, you’ll find park distance warning and rear occupant alert. Choose the Ultimate trim and you’ll find a heads-up display and a surround view monitor. 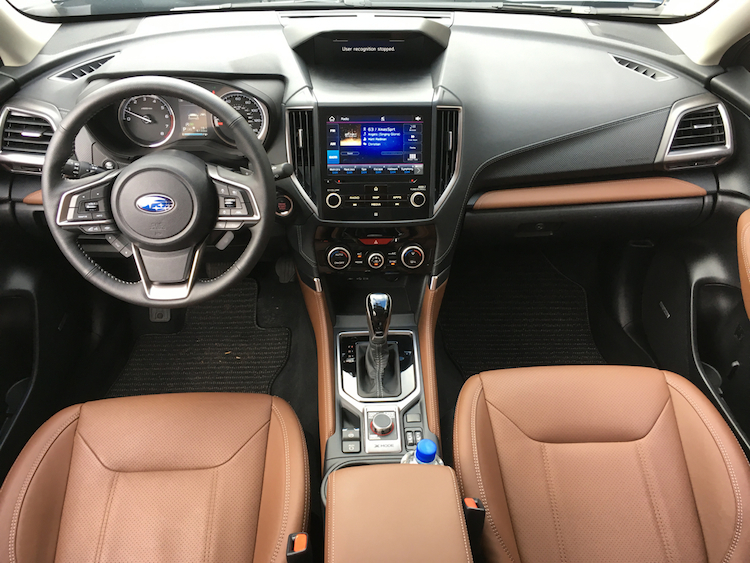 The standard audio package is comprised of a 7-inch display screen, six speakers, Bluetooth, Apple CarPlay and Google Android Auto smartphone compatibility, and dual front and rear USB ports. The SEL Plus model is where Hyundai rolls out a 12-speaker Infinity audio system. Blue Link connected car services start with the SEL, while the Ultimate model includes wireless device charging for supported devices and an 8-inch touchscreen with navigation. Just to be clear, smartphone compatibility essentially rules out the need for navigation, thus its availability on the Ultimate trim only shouldn’t be viewed as a deficiency. 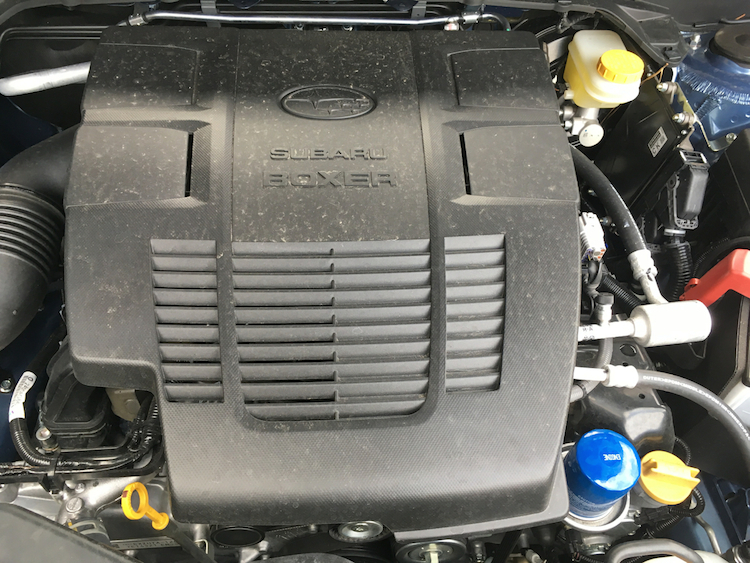 Hyundai offers customers a choice of two engines: a naturally aspirated 2.4-liter four-cylinder with 185 horsepower or a turbocharged 2.0-liter four-cylinder engine with 235 horsepower. Both engines work with an eight-speed automatic transmission. Power for the base engine, however, may not provide enough kick for some drivers. I cannot say so for sure because that wasn’t the engine powering my Santa Fe. However, my test Ultimate model had the turbo, which supplies ample power when needed. You’ll notice the usual turbo lag, but once fully spooled the turbo acquits itself. For the most part, the automatic transmission moves between cogs freely and without effort. The Santa Fe’s ride quality is quite good, coming in smooth and comfortable. The cabin stays quiet at highway speeds with outside noise largely mitigated. Handling is a strong suit, making this SUV easy to maneuver in tight spaces. The 2019 Santa Fe gets the job done, especially when equipped with the available turbo engine. But all three competitors have stronger standard engines, which puts the Santa Fe at a performance disadvantage. Like other Hyundai models, the Santa Fe offers generous standard equipment, a competitive price point, and a robust warranty plan. 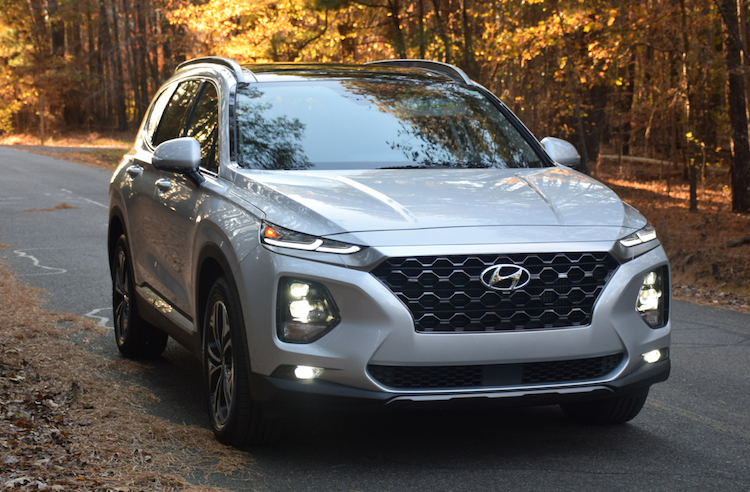 This combination gives Hyundai an advantage, something consumers should keep in mind when shopping for a midsize, two-row crossover utility vehicle.